As Planet X passes at it’s closest point, the inner core breaks it’s bond with the crust and moves to align to the magnetic field of Planet X, the crust then follows shortly afterward dragged by the inner core. Understanding how a Pole-shift can happen, first, based on readily available scientific knowledge of Earth’s inner structure, and second, what particular external force could be applied that would cause such a massive and irreversible adjustment to Earth’s crustal positioning is the intent here. This is not an arcane scientific thesis, it is a common-sense explanation based on established science of the day. 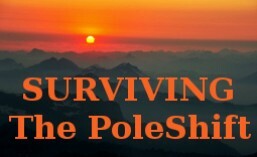 We all need reasonable information as station posts along the way in our investigations into the subject of an Earth Poleshift, but since this topic stands outside the awareness of the average person today, to move forward, we need to venture into new territory in order to fully explain the pole-shift. This is because it’s cause is not part of acceptable cultural knowledge: school and university curriculum. Additionally, the subject of an Earth Pole-shift is not a popular one. Why?, Because nobody wants to believe, or is excited by this message: at first. It also takes a little while to sink-in. The pole-shift message comes entirely out the blue, literally and figuratively, as it’s a planetary reality that has been hidden for decades, but why? Top echelon country administrations are always trying to keep the population under control. They need taxes to be paid and goods to be manufactured to keep money flowing into the pockets of the wealthy who support the incumbency of politicians, so no motivation there. Now add to this the effects of disaster scenarios, a single large hurricane can hobble a local economy for weeks or a simple power outage such as the August 2003 Northeast blackout which affected 55 million people for 2 days. The victims of hurricane Sandy are still is great need today (Dec. 19, 2012). So it’s clear that government money and those organizations that act on behalf of the government providing assistance do not compensate for the essential needs of the victims. (collage): Top Left: Associated Press. Right: Staten Island after Hurricane Sandy 2012 by sickrthanyouraverage. Bottom Left: Seaside Heights, NJ, Aftermath of Hurricane Sandy [Photo credit: Michael Reynolds]. Enter a public discussion of a Pole-shift. Much of the public will quickly see that only a small percentage of the masses will actually be assisted, let alone have their lives re-constituted by either the insurance companies or a government handout. Government think-tanks study all the various scenarios to the nth degree, seeking to preserve their status quo for as much and as long as possible, so a pole-shift won’t be discussed publicly by the government, the entire topic is anathema. What ZetaTalk reports is that a public announcement of parts of the pole-shift subject (namely, the presence of Planet X in the solar system ) is being discussed, but with the complicit agencies of the U.S. administration dancing around an actual announcement of the pole-shift itself, thus avoiding direct recrimination by the public of those orchestrating the cover-up. I predict that the U.S. administration will wait until the longest possible time (months before the pole-shift) to actually divulge direct knowledge of Planet X, meanwhile, we will see an up-tick of the many parts of the Planet X story being “leaked” and that of official fringe story-aspects quietly announced. Any big forthcoming public pole-shift pronouncements will depend on the obviousness of Earth events, for example, inescapable sky events seen by very many people. In researching facts about the pole-shift, it becomes difficult in matters of solar system and space events via space probe and satellite data. This is because there are secret cover-up agendas within NASA and JPL. These agencies have almost full control over the data. I say almost, as the flood of information in the form of LASCO (Large Angle and Spectrometric Chronograph Experiment) satellite images of the Sun cannot be 100 percent altered to fit a disinformation scheme due to the sheer volume of the flow. Nevertheless, this still means that space events as reported by NASA will not be either fully reported or will contain lies or disinformation and this includes the publicly distributed data as well. For example, the NICT website that displayed computer-simulated visuals of the solar wind and Earth’s magnetic profile for many years has been taken off line, this is what we call a cover-up. Why? Well, the NICT Earth magnetosphere simulation, based on Japanese satellite data, in many cases since about 2007, revealed dramatic images suggesting that a highly powerful nearby magnetic influence was upsetting the smooth appearance of the solar-wind from the Sun. The solar wind is composed of charged atomic particles traveling at 6.2 miles per second. The image above reflects how conventional science portrays Earth’s magnetosphere, which is accurate under normal circumstances, that is, when our solar system is in a magnetic and solar particle-flow balance with the Sun. Notice how the magnetosphere is drawn “to the right” in the image, this is the effect of solar-wind from the Sun (not-shown), being off to the “left” of the image. The image below is how Earth’s magnetosphere appeared on September 26th, 2011. As you can see, it is very different from what is offered by established science. The magnetosphere of Earth has become much more so out-of-shape since then, but this image typifies the present condition of the magnetosphere, although it has very likely worsened since November 9th, 2011 when this snapshot was taken from the NICT website. Smoking gun: clearly if information is being withheld is it indications of a cover-up. See “A brief discussion on disinformation” below for more on the whys of the Planet X cover-up. Standard scientific knowledge tells us that there are 5 main layers to Earth. From the inner core outward to Earth’s surface we have: the inner core, the outer core, the mantle (recognized as being composed of at least a lower mantle and an outer mantle) and then the crust. Discovered in 1936 and confirmed in 1971, the inner core is solid and its composition is understood to consist of a highly-magnetic iron-nickel alloy. The ambient heat of the core is about 9800° F which is about 3 ½ times the melting point of both iron and nickel, this temperature is close to matching the surface of the Sun. The inner core is a solid however. A solid at that temperature due to the humongous pressure it is under being at the center position of Earth’s mass. Moving outward, we now have the outer core this is 1,400 miles of viscous fluid mainly consisting of a molten mixture of magnetic iron and nickel. Next we have the mantle which is more-or-less divided into the lower and the upper. The lower mantle is a highly dense, but a viscous fluid of minerals with the upper mantle being rigid with a composition of the cooled minerals from the lower mantle. Finally we have Earth’s crust consisting mainly of granite, (continental: what we walk on) and basalt (oceanic, the ocean floors). So we have an incredibly hot and solid magnetic core the size of mars surrounded by gradually cooling layers of molten rock,all encapsulated by a crust with the Earth-relative thickness of the skin of an apple. So, approximately the center one-third of Earth is viscous which acts as a fluidic but impermanent bond between the inner core and the rigid mantle. The inner core has recently (about 1986) been found to be rotating faster than Earth’s crust by about 3 degrees a year making a full rotation ahead of the crust by about 120 years. This information reveals the shifting bond between the Earth’s mantle and the inner core. This information supports the concept of an Earth Poleshift and how that is possible: That the Earth’s Crust can move independently from the inner core. As Planet X approaches it’s closest point of passage near Earth, mighty magnetic planetary particle-flows are wrestling for dynamic dominance. Earth will tip and roll several times during this approach. About a month before the last (3) weeks prior to the pole-shift, the complex wobbling causing the crazy and unexpected weather we are seeing globally now, will be far beyond what most humans alive will have seen. I say “most” in deference to those who have survived recent calamities such as: the U.S. hurricane Sandy, Japanese Sendai earthquake-tsunami and the corresponding Fukushima Daiichi nuclear plant disaster, Pakistan floods and the Haiti earthquake. But certainly any of those souls still on Earth will not have seen the sights, sounds and sensations we will experience during the pole-shift event. We have been given hints to what these will be like already: the Norway Spiral, epic lightning storms, Category 5 hurricane winds, and Richter 9 earthquakes, even Earth moan that all will hear but yet to be seen and heard will be deafening stratospheric lightning, raining red dust, rocks and gravel and in some cases sheets of flaming petrochemicals, but a good possibility for all to occur at once. Is there any good news? Yes, It only lasts for an hour! The “Norway Sky Spiral” appeared above Northern Norway on December 9, 2009. ZetaTalk explains, but I paraphrase: The spiral was caused by a wide-field charge from the electrically potent tail of Planet X, the effect is much like a common light stick. The blue extension was the discharge to ground: Earth. We have lightning, the aurora Borealis and now sky spirals. The Mid-Atlantic ridge is an “S” shaped 10,000 mile long submarine mountain range. It’s mountains are up to 1,000 miles wide which connect the oceanic plates that form the floor of the Atlantic Ocean. Stretching from the Arctic to Antarctic, it is known as the longest mountain range of the world. 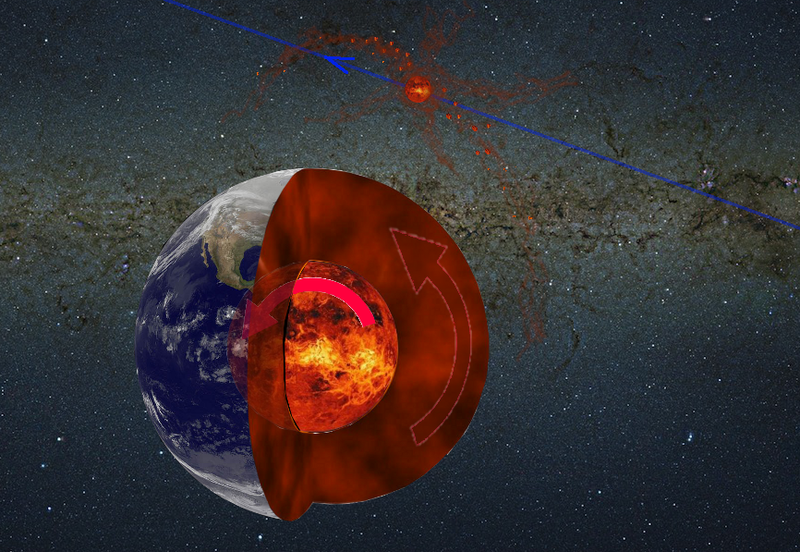 The magnetic dance between Earth and Planet X is complex due to Earth’s magnetic signature, it has a 3rd magnet: the Mid-Atlantic Ridge (left). The 10,000 mile long underwater mountain range is composed of congealed iron-rich magma which acts as a very large magnet, it is this 3rd magnet that slows Earth’s rotation to an eventual stop where it “locks on” to face Planet X about a week before the poleshift. This means that those souls living around the Atlantic will have daylight for 6 days straight and vice versa for the mid-to-east Pacific. North America will have a 6 day paused sunrise and Western Europe and mid-Africa will see a 6 day long hanging sunset. Before the week of rotation stoppage we have the North pole of Planet X pushing Earth’s North pole over the horizon: a tipped Earth while still rotating, so days and nights continue all-the-while continually lengthening. At the closest point of passage, Earth is held in place in a massive magnetic vise-grip, then Earth’s inner-most core breaks it’s bond with the outer crust as it wants to align with the magnetic field of the passing Planet X: this is the time of the great moaning sound that is heard coming from the sky, but originates from the continental depths. The Crust, our recognizable Earth, is slow to respond but is dragged against it’s will to it’s new permanent posture (the hour of the pole-shift): new geography will then stand at the poles. All Pole-Shift details are taken from www.ZetaTalk2.com. This entry was posted in About the Pole-Shift and tagged 2012, earth poleshift, earthchanges, mayan calendar, nibiru, planet x, the poleshift, Zetatalk. Bookmark the permalink.